Healthy and delicious! The beets produce a moist cake without all the fat! 1. Preheat oven to 350F. 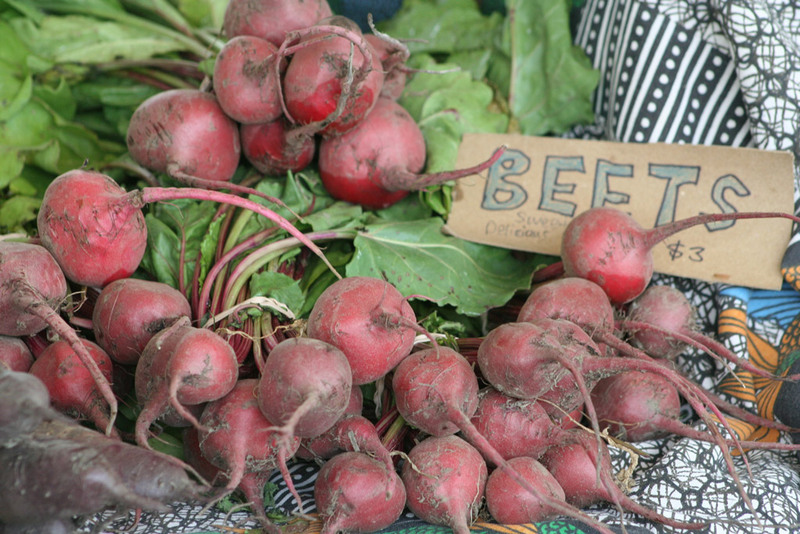 Place beets in a saucepan and cover with cold water. Bring to a boil and simmer for about 30 minutes until very soft. 2. Drain beets and let sit until cool enough to handle. Peel and puree in a food processor until completely smooth. 3. Sift flour, sugar, cocoa powder and baking soda into a small bowl. Set aside. 4. Whisk eggs in a medium bowl. Add water, oil and vanilla. Add 1 1/3 cups beet puree. 5. Fold dry ingredients into wet. Scrape into a parchment paper covered- 9 inch cake pan. 6. Cook for 45 minutes. Let sit in the pan for 20 minutes, and then invert onto a cooling rack to cool completely. 7. Finish with your favourite chocolate glaze or frosting.